At some level, most Americans have an uneasy sense that government is no longer "of, by, and for the people." Industry sector groups and their paid agents have methodically elevated their roles from stakeholders and subject-matter advisors to political career-makers and primary writers of self-interested legislation and regulations. In a creeping process spanning generations, corporations, in executing their valid charters to grow revenues and reduce costs, have gradually insinuated themselves into government as organically and quietly as the roots of a willow into well tilled soil. In 1961, Eisenhower signaled an early warning of a newly vast and powerful defense industry rooting deeply into a complicit Congress. Ike correctly saw the serious implications of this uncomfortably cozy relationship between the military, the defense industry, and the Congress, and courageously dedicated the entirety of his farewell address to its exposure. But little was done to counter the growth of this incestuous relationship and gradually, over the course of the intervening decades, industries from insurance and pharmaceuticals to energy and financial services have joined the Washington feeding frenzy. Since the days of Eisenhower, catalyzed by natural market forces and motivated by spiraling campaign costs, this dependency relationship between Congress and the corporate world has become stronger, broader, and inextricably entrenched. Incrementally, and under the radar of most good Americans trying to make a living and raise their families, corporations have invaded and successfully occupied the Capitol, their presence now firmly and famously established on K Street. Corporations have been at once fueling and riding the wave of escalating campaign costs into a firm control of congressional members dependent upon corporate money to stay in office. This was the already sad state of American democracy on January 21, 2010 when the Supreme Court decided Citizens United v. the Federal Election Commission. Even before this heinous decision, corporate campaign cash had dwarfed contributions from ordinary citizens, and K-Street lobbyists outnumbered legislators 60 to one. But this democracy-killing decision allowing corporations to spend unlimited sums directly from the treasury to support or attack candidates for elected office literally smothered the already muted voice of the people under piles of campaign cash. 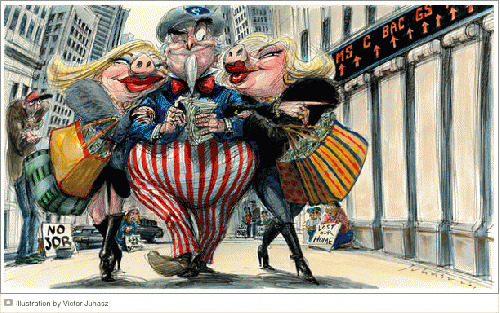 And shout as we may, it is money that commands attention on Capitol Hill. The decision in Citizens United has critically neutered Campaign finance law and the once viable counter strategy of publicly funded elections, as reflected in the languishing Fair Elections Now Act, has been transformed into just another opportunity for corporations to leverage taxpayer money. 1. Clarify that the Bill of Rights was intended for natural persons. 2. Declare that money and speech are not equivalents. 3. Guarantee that elections are free and fair. Amending the Constitution, as it should be, is a very heavy lift. Success is contingent on massive awareness and unprecedented cooperation across the political spectrum. We will need to overcome the divisive tenor of political discourse set by talk radio and talking heads. Liberals and Tea Partiers must come to re-appreciate each another as fellow citizens and begin to realize that they have much, much more in common than they do with hedge fund managers. Sure, some people like Fords, some like Chevys, some are Yankee fans, some like the Red Sox, some think individuals should be responsible for their own health care, some think we should pool resources. That's fine and healthy. But if what you think about a critical issue doesn't matter to your representative in Washington (or Albany) because he or she must worry about what the funders think first, then we all have a problem. It doesn't matter where you stand on issues like the economy, war, the environment, or social security if your voice is irrelevant. To revive true representative democracy in America we'll need all hands on deck working together, right, left, and the marginally attentive masses in between. So please consider making a personal commitment to fully comprehend and spread this message until it becomes part of the fabric of popular political thought. The corruption of our electoral process by economic interests is the root cause of the ongoing demise of democracy in America. Without a plainly-worded Constitutional amendment, our democracy will continue to morph into a corporate state; Wall Street will gain complete control of our legislative bodies, our policies, laws, and regulations. Please be aware that this takeover is ongoing, so the longer we wait to rise up as a unified people and demand an amendment, the more difficult it will become to force the increasingly corporate Congress to act. Please join the fight now. It's a fight for the survival of the America we once knew and loved. Can Democracy Survive Citizens United v. FEC?